The Graham Foundation for Advanced Studies in the Fine Arts announces its 2014 Grants to Individuals, which will award over $520,000 to 68 projects that demonstrate innovative and thought-provoking ideas in architecture. 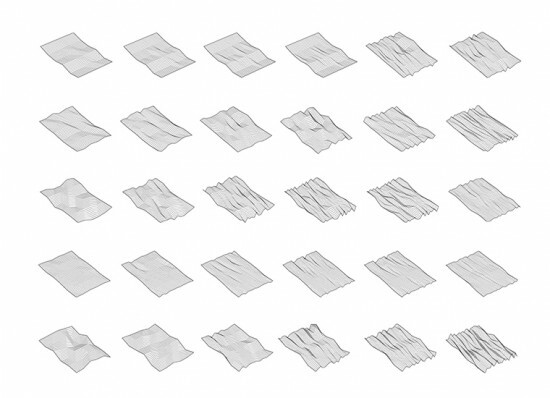 Micheal Leighton Beaman (Critic, Interior Architecture) and Zaneta Hong (lecturer in Landscape at Harvard University) were awarded a grant for their research/exhibition: The Landformation Catalogue. The Landformation Catalogue is an exhibition of research focused on revealing the generative methods of landform design and construction. Three parameters—operations, materials, and technologies—provide the basis for this research. With the goal to communicate the formative relationships between these three defining parameters across scales and geographies, the Landformation Catalogue establishes a morphologic index of forms and taxonometric organization of effects. 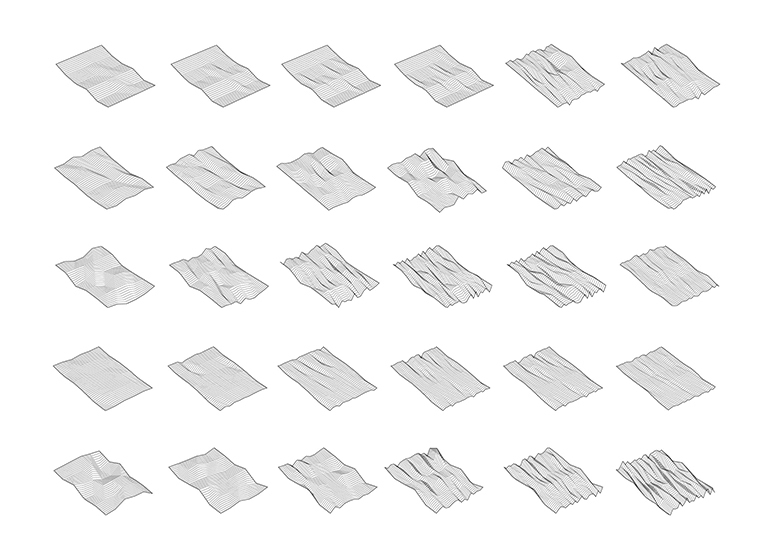 By combining computational-based simulations, digitally fabricated artifacts, and graphic illustrations, the Landformation Catalogue provides an alternative categorical structure and analytical framework for exploring the inception and evolutionary development of constructed landforms. Michael Leighton Beaman is founder and principal of Beta-field, cofounder and principal of GA Collaborative, associate editor for ii journal, a design and technology writer for Architectural Record, and currently visiting lecturer at the Rhode Island School of Design. Beaman’s research and writing focus on the theory and application of technology in architecture and landscape architecture, and its implications for design culture, sustainability, and socially conscious design practices. In 2012, the American Institute of Architects named Beaman an “emerging practitioner.” Michael was the 2010–12 University of Virginia Teaching Fellow in architecture and an assistant professor of architecture at the University of Texas at Austin from 2007 to 2012; he has also taught at Harvard University, North Carolina State University, Northeastern University, and the Kigali Institute of Science and Technology. He received his BArch from North Carolina State University and his MArch from Harvard University’s Graduate School of Design.